You still get plenty of performance, and the capability to excel at everything from adventure rides to sport touring. 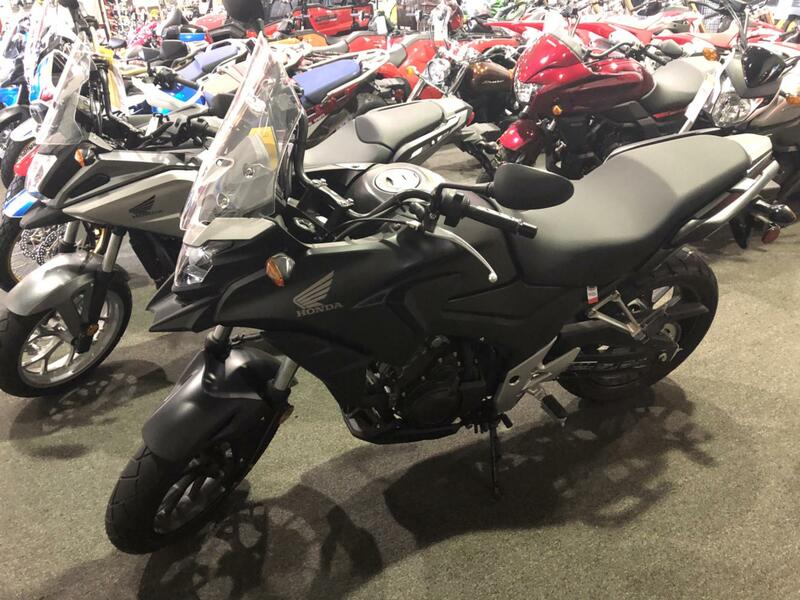 The torquey 471cc parallel-twin DOHC engine delivers the broad-spectrum power that Honda twins are famous for, while the CB500X’s upright handlebar naturally accommodates a wide variety of riders. You can adjust the compact windscreen to varying heights (plus it’s 100mm taller this year), and the larger-capacity fuel tank is carefully shaped to give the rider an unrestricted riding position. New for 2016: A restyled LED headlight and taillight, a hinged fuel-tank filler cap, front suspension that’s now adjustable for spring preload, and a front-brake lever that’s adjustable too. Powerful, Dependable Twin-Cylinder Engine: Displacing 471ccs, liquid cooled and featuring parallel cylinders with dual overhead cams, the CB500X’s powerplant is very efficient, especially with its performance-maximizing electronic Programmed Fuel Injection (PGM-FI). Naturally, it shares Honda’s reassuring reputation for reliability. Adjustable Windscreen: Another upgrade for 2016, the CB500X’s windscreen is 100mm taller this year for better wind protection, and is still adjustable so you can fine-tune your cockpit environment.